Blue Wow is a collection of essays written by author David Khan Johnson recalling his encounters with artists Airto Moriera, Allen Ginsberg, Andreas Vollenweider, Aston “Familyman” Barrett, Atari Teenage Riot, Bad Brains, Billie Joe Armstrong, Bob Dylan, Brian Wilson, Chaka Khan, Cheetah Chrome, Chuck Berry, Coil, Fun Lovin’ Criminals, Genesis P. Orridge, George Harrison, Grace Slick, Ian MacKaye, Jaco Pastorious, Janis Joplin, Jason Pierce, Jimmy Buffett, Joe Stevens, Johnny Cash, Keith Richards, Lemmy Kilmister, Mike Watt, The Ohio Players, Peter Saville, Phil Collins, Pink Floyd, Placebo, Rob Halford, Robert and Michael Been, Roebuck “Pops” Staples, The Rolling Stones, Run-DMC, Russell Simmons, Sam Phillips, Scientist, Sean Lennon, Shel Silverstein, Sly and Robbie, Sublime, Ted Nugent, Tennessee Williams, Tony Bennett, Trent Reznor, Willie Dixon, Winston Wright, and Yanni. culture. As a musician based in Key West and New York and later as a music journalist and entertainment merchandiser, Johnson often found himself in the enviable position of observing and interacting with many of the most interesting and innovative artists of our times. To preview selections from Blue Wow, please visit the Preview section of this website. To see photos related to Blue Wow, please visit the Photos section of this website. 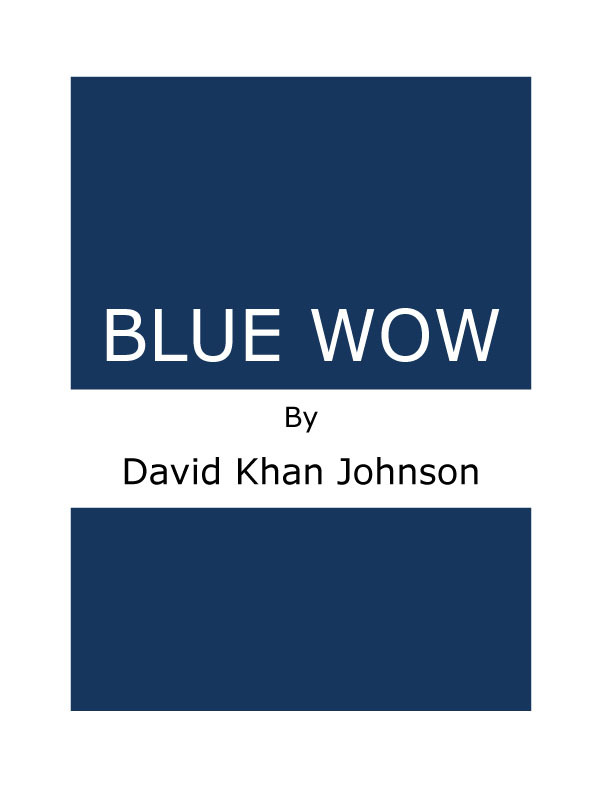 To watch a video of author David Khan Johnson reading a selection from Blue Wow, please visit the Watch section of this website. Blue Wow is available now for digital download. To purchase an eBook copy of Blue Wow, please click HERE.